During Women’s History Month we celebrate the achievements of notable women, including three who called Bucks County home: Pearl S. Buck, Dorothy Parker, and Margaret Mead. 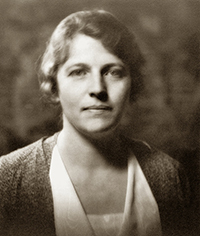 Pearl S. Buck was born in West Virginia, but grew up in China as the daughter of missionaries. Trained as a teacher, she turned to writing in 1927, partly for financial reasons, and in 1931 published “The Good Earth.” A portrait of Chinese peasant life in the early twentieth century, the book earned her a Pulitzer Prize the following year. In 1934, Bucks returned to the U.S., eventually settling at Green Hills Farm in Perkasie. She received the Nobel Prize for Literature in 1938 and was the first woman to receive both the Pulitzer and Nobel prizes for Literature. She wrote approximately 100 books during her lifetime. 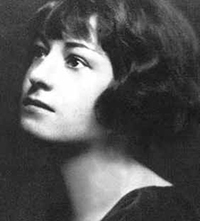 Known for her acerbic wit, Dorothy Parker was a founding member of the Algonquin Round Table. Her short stories and poems appeared in The New Yorker, Vogue, and Vanity Fair, and she co-authored the screenplay for the 1937 adaptation of “A Star is Born.” She was nominated twice for an Academy Award for screenwriting. Parker published her first poem when she was 21 and became an editor when she was only 22. She was a prolific writer, adept at poetry, short stories, criticism, and drama reviews. Beginning in 1936, Parker lived in Pipersville for twenty years. The house, now a private residence, still stands. 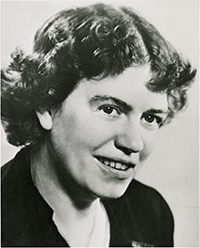 Born in Philadelphia, Margaret Mead was raised in Doylestown, and attended Buckingham Friends School. She popularized the study of anthropology with her first book, “Coming of Age in Samoa.” Published in 1928, when she was only 23, the book was based on Mead’s field work on female adolescents in Samoa. At the time of its publication, the work was considered scandalous. It has never gone out of print. Mead was an assistant curator at the American Museum of Natural History, taught at Columbia University, wrote a monthly column in Redbook magazine, and lectured widely. She was considered an expert on human nature, nutrition, family life, and education. At the height of her popularity, the New York Times called her as a national oracle.